This particular unit is very clean is in both excellent physical and electrical condition. It is in current calibration until near the end of the year. The HP 54603B is fully tested and functions flawlessly. It has a 3-day Right of Return Warranty. 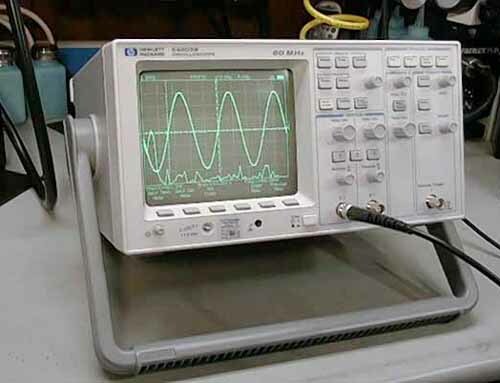 The Agilent 54603B 2 channel 60 MHz Oscilloscope delivers the features and performance you've always wanted. Equipping a lab under budget constraints used to mean giving up quality and capability. Not anymore. For colleges and universities, this scope is a great way to introduce students to the world of professional test equipment. This scope also benefits from the advance features of the HP 54657A Measurement and Storage Module. 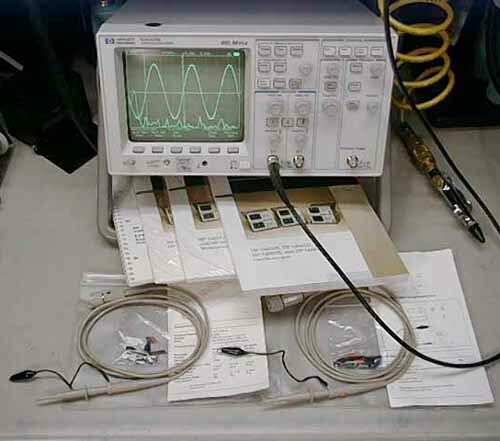 The HP 54657A Measurement Storage module with GPIB interface works directly with the HP 54600 series of oscilloscopes. It offers 19 different automatic measurements including waveform math functions, FFT spectrum analysis, and mask testing. 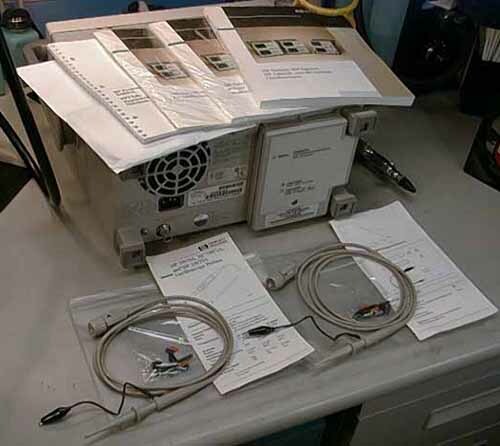 It also offers storage (up to 100 nonvolatile memories), and unattended waveform monitoring.